How can I get FedEx to leave a package? What is a waiver? What is the PracticeRange.com return policy? What is the PracticeRange.com Low Price Guarantee? What payment methods does PracticeRange.com accept? How do I place an order if my facility does not approve use of credit card payments? How does my Security Code protect me? Do I have to enter the Security Code? What if I can not read my number? How do I use PracticeRange.com e-Gift Cards? How much will I pay for sales tax? What is the PracticeRange.com policy on privacy? Is it safe to send personal information like my credit card and telephone number? What is Secure Server Technology? Where does PracticeRange.com ship golf aids, golf books and instructional videos? How does PracticeRange.com ship golf aids, golf books and instructional videos? Fill out your billing address using the address your credit card is billed to. Do not forget to include any apartment number, suite number, or building number. We cannot be responsible for an incomplete or incorrect address that you provide. Include a day-time phone number to help the delivery Driver find your address during daytime delivery. If you select a business delivery address on Best Way Ground Shipping, your package may get to you a day or two earlier. Business addresses generally require having someone present when the driver delivers. * These shipping rates are applicable to the continental United States only. Rates to Alaska, Hawaii, and U.S. Territories will be higher than those shown in the calculator. Oversized items will require an increase of the shipping charges shown above. Your credit card will be billed for any difference in actual shipping charges upon shipping. We will only ship to Post Office Boxes utilizing USPS Priority Mail. This may cost more on larger shipments than regular standard ground rates. If you want Expedited Shipping you will need to provide a physical address to utilize the expedited delivery services. For Standard Shipping we utilize one of the following carriers: FedEx Ground, UPS, US Postal Service or LTL Carrier for larger orders. To estimate your shipping costs, use the shipping estimator in the right sidebar of the shopping cart. Orders requesting Expedited Delivery will have priority over Best Way Ground orders. Ground Service Maps illustrate service schedules in business days for FedEx Ground and/or UPS Ground shipments leaving our Texas warehouse and key vendor drop ship warehouses. For FedEx Ground and UPS Ground, a business day does not include Saturdays, Sundays, or holidays. The maps offer a general representation of transit times. For a specific ZIP Code to ZIPCode transit time, please call, toll free, 866-772-2842. Select EXPEDITED shipping method during checkout. We will choose the quickest method available without exceeding the calculated shipping charges. The level of service varies depending on the size and weight of the order. In most cases, the level of service will be FedEx Express Saver or UPS Three Day Air. If EXPEDITED SHIPPING charges are not enough to cover actual shipping charges, we will contact you prior to shipment for approval. 1. Select EXPEDITED shipping method during checkout. 2. Enter a message requesting Overnight or Two Day level of service in the DELIVERY INSTRUCTIONS field located under the shipping method. We will notify you with an estimate of shipping charges for your approval. You can indicate pre-approval of the additional shipping charges in the DELIVERY INSTRUCTIONS field. Your consent eliminates the estimate and notification process and will speed up the order. We will charge your account for the applicable shipping charges. If the order cannot be processed same day due to inventory availability, we will notify you immediately. We utilize FedEx and UPS for Overnight or Two Day delivery. Orders requesting Overnight and Two Day Shipping have priority over Best Way Ground orders. Your credit card will be billed for the difference in actual shipping charges upon shipping. Overnight shipments will be delivered on the next business day. Two Day shipments will be delivered on the second business day following the day shipped. Saturday delivery may be available, please call to request this level of service. June 8-10 Use Standard Delivery. Call to confirm delivery will arrive in time. Use Expedited Air Service. Call to confirm delivery will arrive in time. June 11-12 Use Expedited Air Service. December 14-17 Use Standard Delivery. Call to confirm delivery will arrive in time. Use Standard Delivery. Call to verify delivery will arrive in time. How Can I get FedEx to leave a package without requiring a signature. What is a release waiver? As long as a tracking number has not been generated, you can contact your local FedEx branch and put in a "Signature waiver" to either require or not require a signature for delivery. Call 1-800-GO-FEDEX. If a tracking number has been generated for your order and once FedEx attempts an initial delivery, they will leave a delivery notice on your door. On the reverse side you’ll find the same "Signature release waiver". Fill it out and they will follow your instructions on their next delivery attempt. Some FedEx drivers will leave a package if they are familiar with the neighborhood and consider it safe to do so. That is completely up to the FedEx driver. PracticeRange.com uses various carriers to ship orders. For Standard Shipping we use one of the following: FedEx Ground, FedEx Air Express Saver, United States Postal Service, UPS Ground or LTL Carrier for larger orders. For Next Day or Second Day levels of service we use FedEx. We utilize United States Postal Service Priority Mail Service for these orders. Once you exceed 5 lbs the service is zoned. The further the destination, the more expensive the shipment costs will be. We can arrange service thru FedEx which is considered an Air Service and is generally more expensive. Military APO/FPO orders are shipped by the United States Postal Service and take one to two business days to process and on average five to ten working days to arrive. However, PracticeRange.com cannot control delivery time. For APO/FPO orders, this may take 2-4 weeks at times. Please include the APO/FPO postal code in the zip code field. For shipments to Canada, we utilize USPS Global Express Mail, Federal Express and FedEx International Ground. Shipments to extended areas of Canada may increase the cost of shipping. We are able to provide quotes Monday through Friday on regular business days. Some quotes may take more than 24 hours because we have to wait for a freight company to quote us. For shipments to countries other than Canada, we utilize USPS Global Express Mail and FedEx. Shipments to extended areas may increase the cost of shipping. We are able to quote rate's Monday thru Friday on regular business days. Some quotes may take more than 24 hours because we have to wait for a freight company to quote us. To arrange for a special shipment request please e-mail help@practicerange.com, or Phone: 254.420.1013 , or Fax: 254.420.1301. We can arrange to ship your package by any carrier you desire, however, the shipping cost may be greater than the amount quoted on the order confirmation. If you do not provide us the complete proper address or if you request the package to be delivered to another address (other than the one you originally provided us with) and our shipping company charges us, your credit card could be charged up to an additional $10.00. We are committed to having happy customers that not only can't wait to shop again but go out and tell their friends about PracticeRange.com. That's why we offer a 100% MONEY BACK GUARANTEE. In the unlikely event that you are unhappy with your golf training aids, golf books, instructional videos, or other product simply return it within 30 days for a 100% refund. Items returned must be accompanied by the original packaging and materials. Items must be in NEW and UNUSED condition. All returns will be inspected prior to credit being issued. Please allow a minimum of 30 days for us to receive and process your return or exchange. We will credit or refund the value of the merchandise total and any taxes you were charged. All returns will be refunded to your original purchase credit card or PayPal account. Adjustments to credit cards will be made within two billing cycles. All items returned must be in NEW and UNUSED condition. We cannot accept returns on used clubs, opened software, cassette tapes, compact discs, or videos. CLOSEOUTS and DEMO ITEMS are not returnable. SPECIAL ORDER items that are not regular in stock items are also not returnable. Lesson Golf Gift Certificates can be refunded for the amount purchased less a twenty percent service charge. PracticeRange.com will issue a full refund less the original shipping charges by crediting the credit card or mailing a refund check. If the return is due to an error on our part, a full refund will be credited to your account. If you should need to return an item first request a Return Merchandise Authorization (RMA) from a customer representative by calling us or sending an e-mail message. Returned items MUST have the RMA number written BOLDLY on the box of the returned item. Return shipping charges are your responsibility. We recommend that you insure the item when shipping. Please include a copy of the invoice. PracticeRange.com takes the hassle out of spending valuable time searching the internet for the lowest prices on golf training aids, golf books and instructional videos. We constantly check other golf internet companies to ensure we maintain our competitive pricing. All products carry a full manufacturer’s warranty. Should you have a problem within the manufacturer’s warranty period PracticeRange.com will do everything possible to assist you in taking care of your particular situation. The customer is responsible for any additional duty, taxes, brokerage fees and insurance fees that may be assessed for returned items shipped internationally. Shipping charges are the responsibility of the customer for warranty replacements. The customer is also responsible for any duty, tax or brokerage fees and insurance for replacements. Closeouts and demo items are not returnable either domestically or internationally. PracticeRange.com accepts the following credit cards: Visa, MasterCard, Discover, and American Express. PracticeRange.com also accepts Money Orders, Cashiers Checks, and Personal Checks. Select Phone/Fax as payment method during the checkout process. We will process your order upon receipt of payment. Orders paid by personal check are held for ten days before release to shipping department. We accept Purchase Orders from certain clubs and educational institutions after credit has been established. During checkout use the Phone / Fax payment method. Fax a completed credit application and purchase order to customer service at (254)420-1301. If there is no shipping method available during checkout you have selected an item that is unavailable for delivery to you requested shipping address. This situation occurs with oversize items shipping internationally and to Alaska & Hawaii. Please remove the oversize item from cart and continue checkout with the items that are shippable to your location. You can contact us directly to request an estimate on shipping the oversize item. If you need further assistance, contact us directly to place the order. It is an important new Internet security feature that now appears on the back of most Visa/MasterCard and Discover cards, and on the front of American Express cards. This new code is a three or four-digit number which provides a cryptographic check of the information embossed on the card. The security code helps validate that the customer placing the online order actually has the credit card in his/her possession, and that the credit/debit card account is legitimate. Where can I find the this Security Code? 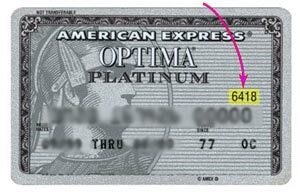 The security code is only printed the card and it is not contained in the magnetic stripe information nor does it appear on sales receipts or billing statements - you must have the card in your possession in order to use this code. If this code is printed on your card, YES, you must enter the code. Visa, MasterCard, Discover and American Express now require Internet stores to obtain the security code for all cards that have a code printed on them. In order for this transaction to be accepted and processed, you must enter this code if it's printed on your card. This is done for your protection. ***If your European or Asian credit card does not have a Security Code, you may enter the letter X or call/fax your order. What if I can not read the Security Code number? 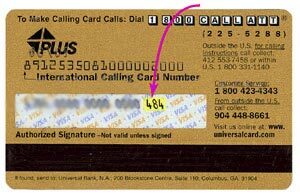 If you cannot read the number on your card, enter the letter "I" as in "Illegible" in the CVV field. This will let your bank know that the number is there, but cannot be read. Putting in an "X" instead of an "I" may cause your bank to deny the sale. You may apply e-Gift Cards purchased or received from PracticeRange.com to any item offered on the PracticeRange.com website, including other e-Gift Cards. Enter its claim code in the "Apply a Gift Certificate" space on the price verification screen when you enter your credit card number This will be the third screen in the checkout process. PracticeRange.com e-Giftcards and unused portions of e-Giftcards never expire. Giftcards are non-refundable except back to the originally charged credit card account. Any unused balance will be retained under the e-Giftcard number for future redemption opportunities. If your order exceeds the amount of your e-Giftcard, you must pay for the balance with a credit card when making your purchases on the PracticeRange.com site. A PracticeRange.com e-Giftcard carries no cash value. Sorry, we cannot replace and are not responsible for lost or stolen e-Giftcards. PracticeRange.com normal operating hours are from 8 a.m. to 5 p.m., Monday-Friday. E-Gift Cards purchased after 3:00 p.m., or on Saturday or Sunday, will be processed the following business day. You may inquire into the status of your order at any time by clicking on My Account found at the top right corner of any page. Order status will include shipping status (pending or in transit) and order detail (customer order ID, item detail, shipped date, anticipated arrival date, shipper tracking number and the number of packages). PLEASE NOTE: At times we may ship from multiple warehouses or have items drop shipped by one of our suppliers so your items may arrive separately. How can I create a wish-list? You can create a wish list to save a list of your favorite training aids for your own reference, or you can e-mail your list to friends and family. When you find an item that you are interested in adding to your wish list, simply click the "add to cart" button. Once you have added the item or items you are interested in, click the "checkout" link or the "view cart" button at the top right of the page. Once you have logged on, click the "email to a friend" button to send your wish list to friends and family, or simply continue browsing our site. The items saved on your wish list will be kept there until you remove them. For orders shipping to an address inside the state of Texas, sales tax is calculated at 8.25% of the order total before shipping. PracticeRange.com takes your privacy very serious. The privacy of visitors is of paramount importance to us. PracticeRange.com is a trademark of OnIn2 Sports Marketing, Inc.. The Federal Tax ID is 74-2601846. Access to our family of web sites is free and anonymous. PracticeRange.com does not sell or give away sensitive personal information (such as credit card information) to any company outside of OnIn2 Sports Marketing, Inc. Additionally, from time to time manufacturers assist PracticeRange.com with fulfillment and shipping in certain product categories, and in those cases these companies receive your name and shipping address so that they can process and ship orders properly. Cookies are used when entering our site to record the location where each visitor arrived from. This is used for tracking visitors which come from our affiliate sites. Each web page access is recorded in a log file. The contents of the log file are analyzed periodically to determine how many visitors we serve, what pages they look at most, and from where they connect. This information is not shared with anyone outside of OnIn2 Sports Marketing, Inc.
Security of your on-line transaction is paramount at PracticeRange.com. All transactions, and information gathering, are completed on our secure server. If a credit card or debit card issuer assesses you a fee because of the unauthorized use of your credit card or debit card on our site, PracticeRange.com will reimburse you for such amount up to $50.00. When you're in secure mode, your computer and our server begin communicating, sending data back and forth in an encrypted format. The encryption features of browser software are exceptionally powerful and ensure the security of this data as it is transmitted to our server. Your browser in secure mode will display a URL address beginning "https://" rather than the standard "http://". The "s" stands for "secure." In Netscape NavigatorTM (versions 3.0 and earlier), the broken key symbol in the lower left corner of your browser window will become a solid key in secure mode. If you're using Netscape Communicator 4.0TM or higher, look for the padlock in the same space: it's open in standard mode and closed in secure mode. In Microsoft Internet ExplorerTM, you'll see a padlock symbol at the bottom of your browser window when the browser is in secure mode. Cookies are used when entering our site to record the location where each visitor arrived from. This is used for tracking visitors which come from affiliate sites. Indicate the country to which the order will be shipped on the Checkout Page. Be sure to select "Canada" in the Country field. Please select the correct province from the State/Province list. Be sure your country is entered in the Country field. Please select "Not Applicable" from the State/Province list. For orders shipping to countries without a Postal Code, enter "XXXXX" in the postal code field. Please enter as much address information as possible in the two address lines provided. If there are any other address details, information or instructions, please enter those into the "Special Instructions" field. PracticeRange.com also delivers to all U.S. possessions and to APO/FPO addresses via U.S. Priority Mail. Standard delivery charges apply. Please note that Federal Express delivery is not available to APO/FPO addresses. PLEASE NOTE, we will not ship to the following countries due to high fraud histories: Belarus, Columbia, Egypt, Korea, Malaysia, Singapore, Romania, Russia, Indonesia and Taiwan. If you insist, we still will not ship to the following areas with unreliable postal service: Latin America, South America, Africa including the Middle East, Israel, Italy, and Greece. So please, do not ask and do not attempt to place a order. You will just be wasting your time. PracticeRange.com uses the following carriers for International Orders: Federal Express and USPS Global Express Mail. International Orders require a physical street address and phone number. We are required to provide a commercial invoice for all International Orders. International orders can take as long as 3 business days plus the dateline where applicable. Deliveries will not be made on Saturdays or holidays. International Orders may take a day extra because of the paperwork involved. PracticeRange.com uses FedEx and USPS Global Express Mail for International Orders. International Orders require a physical street address and phone number. Shipping charges calculated on the order confirmation are not always accurate. If your international order requires an adjustment to the shipping charge, you will receive a message via email notifying you of the any additional shipping charges. You must respond to this message and authorize the adjusted shipping charges for the order to continue to be processed. Be sure to include your correct email address and the exact shipping amount will be calculated and sent to you by email. We are able to quote rates Monday thru Friday on regular business days. All prices are quoted in U.S. funds. We are required to provide a commercial invoice for all International Orders. International customers will be responsible for payment of any applicable duties at the time an order arrives at its destination. Any applicable duty and/or taxes will be billed separately to the package recipient after going through your country's customs.You must contact your local Department of Commerce for any duty and taxes that may be added. PracticeRange.com orders only include the cost of the item and the shipping. Any duty or taxes may be added at the time of delivery. Every order we ship is triple checked by our staff before it is packed. However, once a package leaves our store with an international destination we can no longer be held responsible if something happens to it in customs. If customs opens your package and charges you duty, confiscates merchandise or anything else of that nature we cannot be held accountable. If an order is refused or returned to us due to inaccurate, or incorrect address information or because it was declined or undeliverable, or customs returns an order because the order is not claimed in a timely manner, PracticeRange.com reserves the right to retain the original shipping/handling fee and to charge the payment method originally used for costs we incur related to the return of the undeliverable packages or merchandise to us.